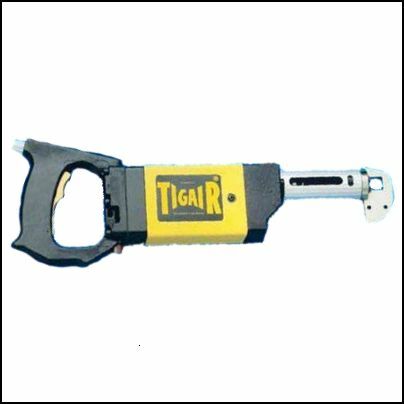 Description: The TIGAIR SAW? 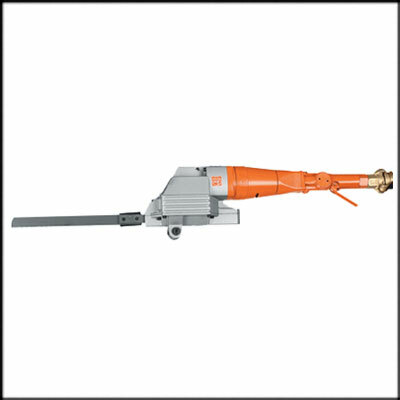 reciprocating air saw is used in industrial and emergency service application. 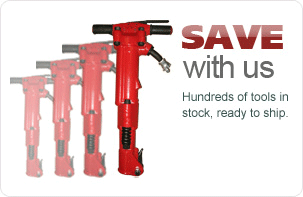 It is ideal for cutting many different types of material such as metal, plastic, fiberglass, dry wall, cement, and wood. Can easily be adjusted during operations to maintain any speed from stop to 1200 strokes per minute. The saw can utilize air from any source capable of generating 6.5 cu. feet of air per minute. The saw operates at its best with 90 to 110 psi. The saw uses standard hacksaw, sectional band or modified reciprocating saw blades. Cutting efficiency Maximum cutting efficiency is on the back stroke. By cutting on the back stroke, the saw creates greater stability, because it is not pushing the work away. This characteristic helps eliminate vibration. However, the saw will cut with teeth facing either direction and in an upward or downward position. Non-sparking The saw is pneumatic; therefore, there is no electrical source to cause motor arcing, which makes it inherently non- sparking, thus ignition and explosion resistant. Self-lubrication The saw and blade are self-lubricating. This safety feature facilitates cutting and enhances the non-sparking characteristic of the saw. Submersible The saw is a true all weather and condition tool. It can be safely used under fresh or salt water, fire retardant foam, oil, mud, slurries and hazardous material. Non-vented areas The saw can be used in non-vented areas without fear of poisoning, carbon monoxide asphyxiation and oxygen displacement by carbon dioxide because it does not emit noxious fumes or carbon dioxide. Quiet operation The saw is surprisingly quiet because of its silencer sleeve. Blade length The saw needs only two inches of blade or less protruding beyond the nose piece when the blade is fully retracted. Blade changing Only two set screws need to be loosened or tightened to remove or install a blade. Diving adapter A special diving adapter that diverts the exhaust air bubbles to a hose and away from the diver's field of vision for prolonged undersea operations is available. Air hose length The saws operating performance is not affected by the length of the air hose. The TIGAIR SAW? will do the job safely and efficiently.